AmazonSmile is a simple and automatic way for you to support us every time you shop, at no cost to you. 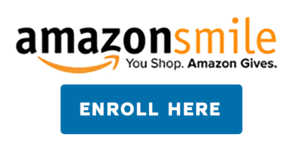 When you shop at AmazonSmile, you’ll find the same prices, selection and shopping experience as Amazon.com, with the added bonus that Amazon will donate a portion of the purchase price to us. You use the same account on Amazon.com and AmazonSmile. Your shopping cart, wish list and other account settings are also the same. To enroll, click the Enroll Now button below, log in or create an account, and select Corona Del Mar High School PTSA as your organization. Then shop at smile.amazon.com like you normally would on Amazon, and PTA receives a donation. We appreciate your support and wish you a wonderful Thanksgiving break with your family and friends!